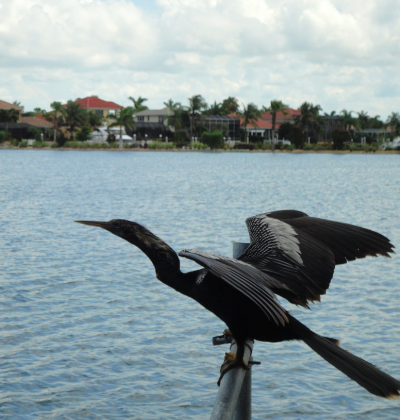 Join our welcoming community of boaters at the best and safest harbor marina on Florida’s Gulf Coast. 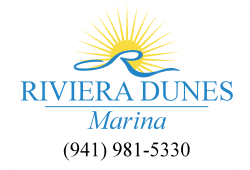 Whether you’re looking for a convenient weekend getaway or a secure home for your vessel long term, Riviera Dunes Marina offers a luxurious, relaxed lifestyle that is second to none. 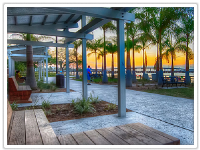 When you stay at the premier Bradenton area marina, you can save a few dollars while still enjoying all the luxury you’re accustomed to. 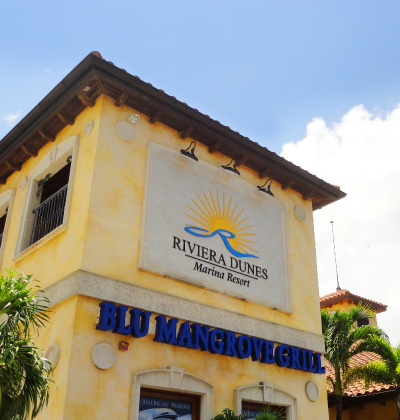 Delight in the finest seafood and live entertainment just steps from your boat at the Blu Mangrove Grill. Enjoy a relaxing getaway on our large Social Deck with gas grills and two heated pools. 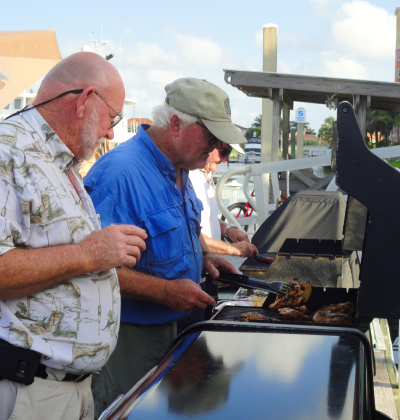 Our expert marina staff is always happy to help and offer first-class service. 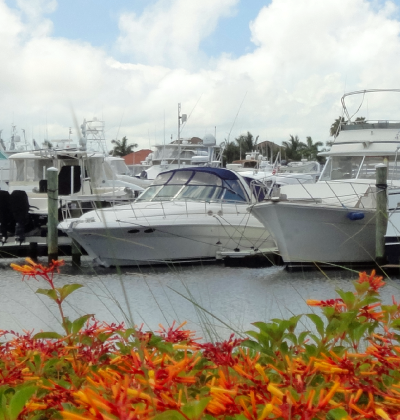 Or if you’re just looking for a safe home for your vessel, our protected, deep water cove is ideal for seasonal and year-round boaters that want to rest easy while away. Make Riviera Dunes your second home on the water today. With 219 wet slips ranging in size from 35 to 110 feet, and the safest waters on the Gulf Coast with average 18 foot depths, your power boat will fit right into our welcoming community. Our competitive rates offer the best value in the area for nightly and weekly rentals when you’re looking for economy cruising without sacrificing quality. 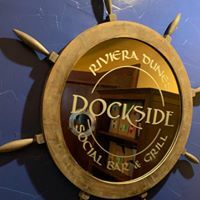 And stay with us seasonally or annually for additional perks including our dockside pumpout service. 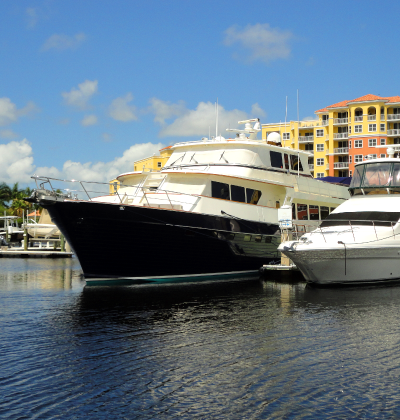 Stop delaying and start housing your vessel in the best and safest harbor marina on Florida’s Gulf Coast. 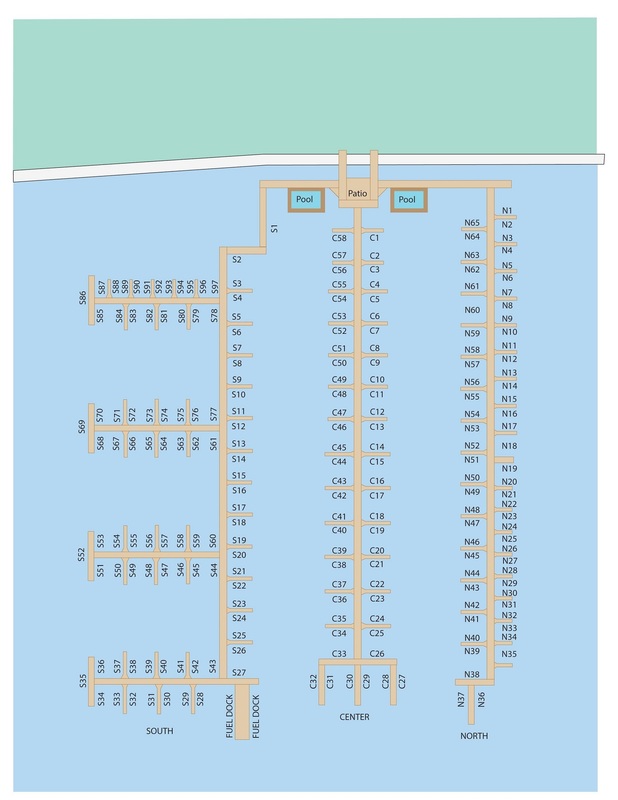 Contact our helpful marina staff to reserve your slip today. Invitation to our 1st and 3rd Friday Socials, BYOB and an optional appetizer to share! Daily $1.75/foot Effective 5.1.19 $2.25/ft. Weekly $9.50/foot Effective 5.1.19 $11.50/ft. Monthly $18.00/foot Effective 5.1.19 $20.00/ft. Seasonal (4+ months) $17.00/foot Effective 5.1.19 $19.00/ft. Annual $15.00/foot Effective 5.1.19 $17.00/ft. *Rates are based on the slipsize or vessel LOA, whichever is greater. Listed rates reflect cash prices.